Scott’s statement, which came during a debate against U.S. Sen. Bill Nelson, is at odds with other Republican politicians and followed years of Scott fighting against heavy government involvement in providing health care. 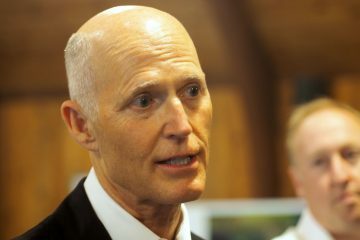 Even before he launched his first campaign for governor, Scott ran television ads decrying the idea of having a “public option” as part of the federal health care overhaul pushed by then-President Barack Obama. In the middle of this week’s heated debate in their U.S. Senate race, Nelson sharply criticized Scott for his health-care stances, which have included flipping back and forth on Medicaid expansion, and for Florida joining a lawsuit to overturn the federal Affordable Care Act. If the lawsuit is successful, it could end a part of the law that protects people with pre-existing conditions who seek insurance coverage. Scott’s Senate campaign reiterated the statement in press releases sent the night of the debate, saying health care was a right. But the talking point of health care as a right has been embraced by Democrats this year, not Republicans. 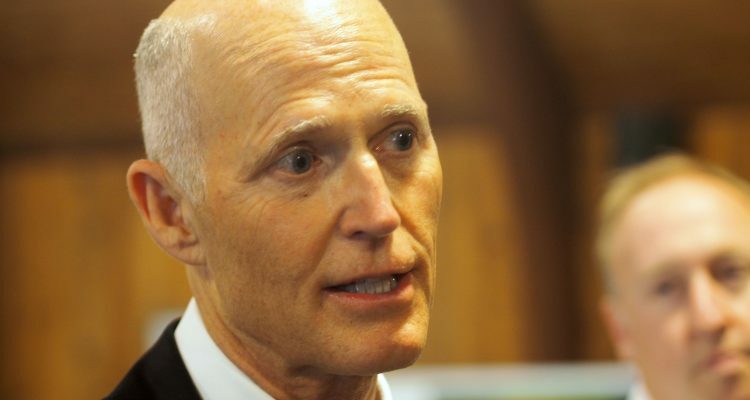 And Scott’s comments came just weeks after a GOP gubernatorial primary debate between Ron DeSantis and Adam Putnam where they both denounced the idea that it was a right. What, exactly, having a right to health care means, though, is different to different people, said Tallahassee attorney Anne Swerlick, who has long worked on health-care policy issues affecting low-income residents. “People need to get beyond the political rhetoric, they need to get behind those words to know exactly what they mean,” Swerlick said. Jodi Ray, director of Florida Covering Kids & Families at the University of South Florida, said some people contend universal access to health care already exists because hospitals are required under federal law to treat people with emergency conditions and stabilize them. But, she said, without health insurance, it would be difficult for people to follow up with orthopedic care. For Ray, a key is that health care must be accessible and affordable. Moreover, it has to be high-quality. “Health care as an entitlement has to take all those things into account,” said Ray, whose group is the lead “navigator” for Florida and works to ensure that residents have access to health care, whether it’s through the Medicaid program or through access to an Affordable Care Act plan on the federal insurance exchange. 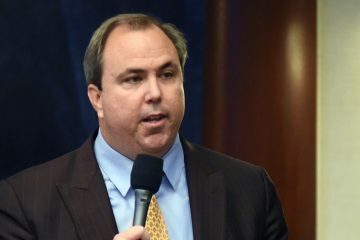 The James Madison Institute is a conservative think tank in Tallahassee that promotes free-market health care solutions. Sal Nuzzo, the institute’s vice president for policy, said for health care to be a right, it means the government either is providing the care or is enforcing that it be provided. 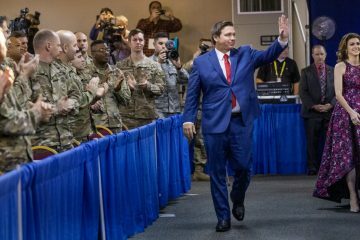 “When a politician says that, any politician comes out and says that, it’s a dog whistle for government involvement,” Nuzzo told The News Service of Florida. 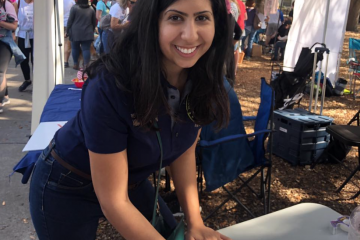 When pressed for what Scott will do to ensure that Floridians have access to health care, campaign spokeswoman Lauren Schenone touted, among other things, Scott’s legislative push for a claims database. The goal of the database was to lower health-care costs by enabling consumers to “shop” in advance to see what payments hospitals and ambulatory surgical centers accepted for certain health care services, such as having babies. Scott, a former hospital-company executive championed cost “transparency” and the establishment of the database after hospitals in 2015 supported a proposal to expand Medicaid eligibility under the Affordable Care Act. Scott, a fierce critic of the federal law better known as Obamacare, opposed the Medicaid expansion proposal, which died in the Legislature. But nearly two years after the Legislature authorized such a database, facility-specific information still isn’t available, and some of the state’s largest insurance companies aren’t submitting data as required. Ensuring access to health care is far different than political theater of proclaiming that health care is a right, said Matt Childers, co-founder of Florida Health Justice Project, a South Florida think tank. Voters on both side of the political spectrum think Medicaid expansion when they hear right to health care, said Childers, who has doctorate degree in political science. “It’s ironic he believes it’s a right now that he’s running,” Childers said.